As our manufacturers develop new materials, we work to keep our stock up to date. 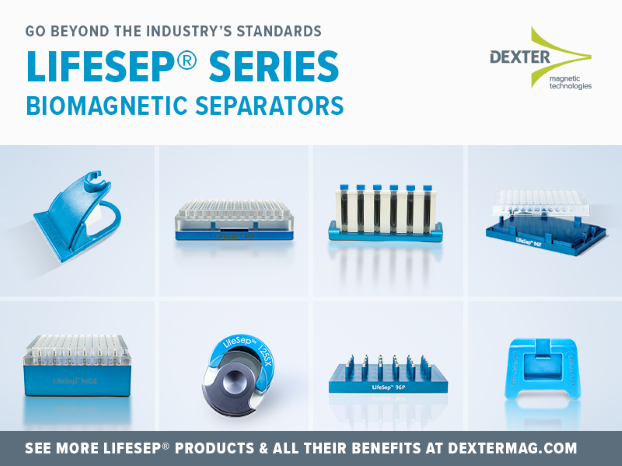 Dexter loves to help our customers be successful by solving their magnetic problems. 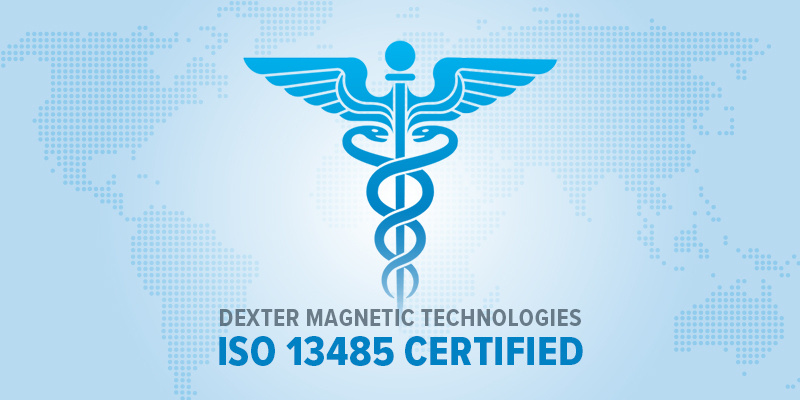 By providing consistent design, development, production, and delivery of medical devices and their subcomponents, we achieved the ISO 13485 Certification for our quality management systems. 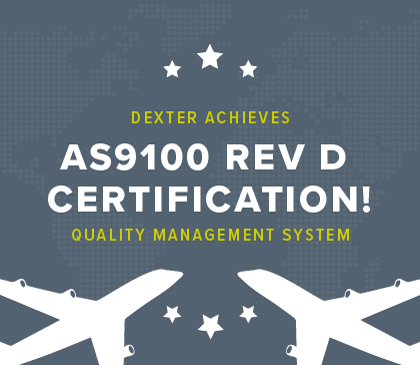 Dexter Achieves AS9100 Rev D Certification! Forgot to Order Your Prototype? 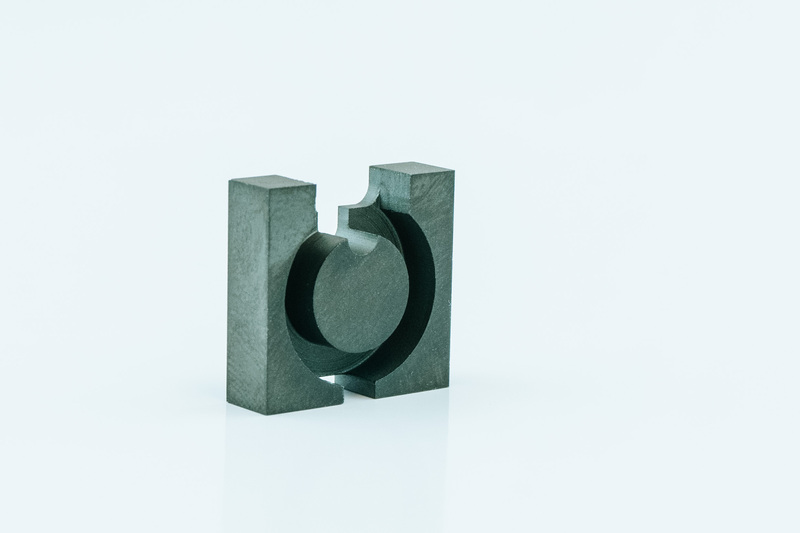 Try Our New Quick-Turn Prototyping Service. 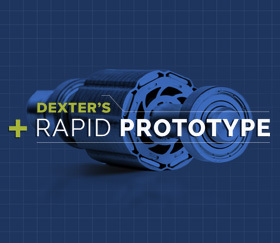 If you need a prototype pronto, Dexter now offers rapid prototyping on new projects and rapid first article on product programs for permanent magnets and magnetic assemblies. 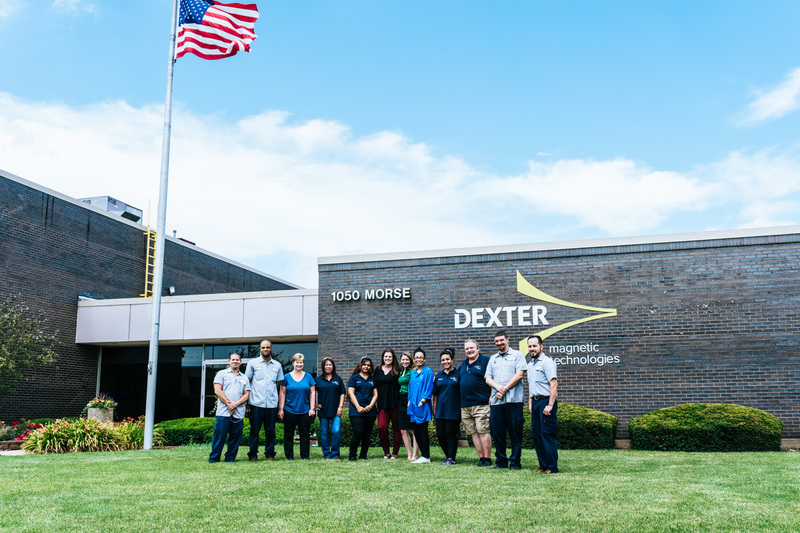 Dexter is Hiring: Be Part of the Future of Magnetics! 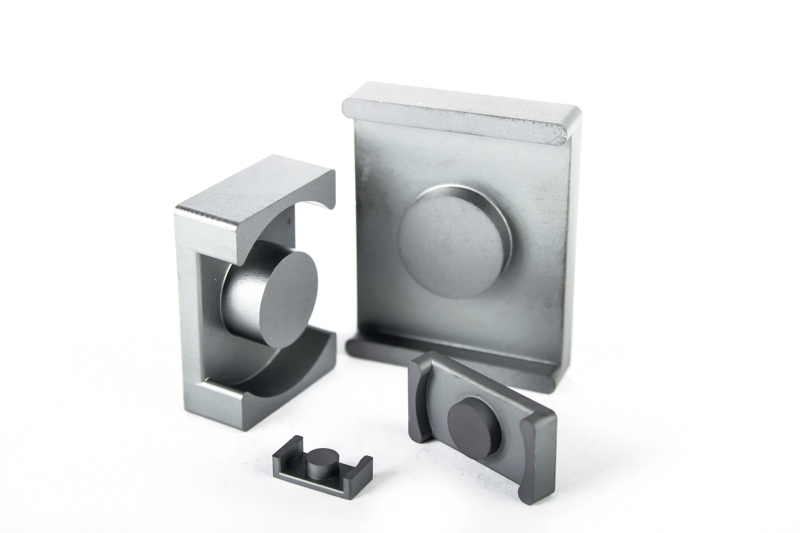 Are you attracted to the exciting field of magnetic technologies? 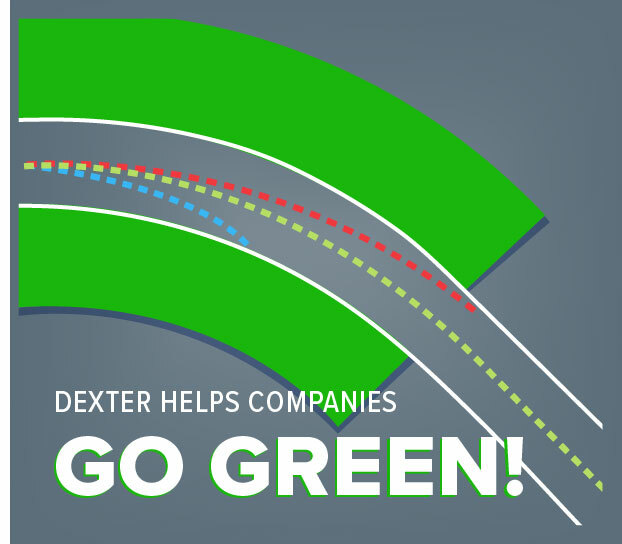 At Dexter, we offer a variety of career opportunities for the best and brightest talent. Attending APEC in Tampa on March 26-30? Please stop by our booth 1430 to see our products and chat with our engineers. Will you be attending the AUTOMATE 2017 Show in Chicago on April 3-6? Stop by our booth N2807 to see an array of our products and chat with our magnetics experts about your needs.